Facebook finally sees Amazon as a threat. Both the platforms have been competing against each other by being considered among the top tech companies. 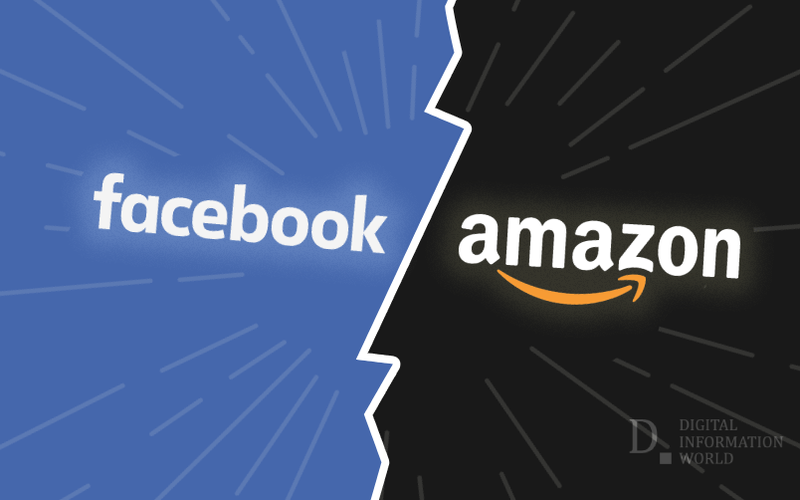 Recently, Facebook considered Amazon as its rival, with respect to its growth as an online advertising platform. Facebook, in its annual 10k filing with the Securities and Exchange Commission, stated that they have been competing with various top companies on different levels. Facebook sees Apple as competition in messaging, Google and YouTube in terms of advertising and videos. Tencent is also considered to be competitive when it comes to social media and messaging. For the first time, Amazon has also been mentioned in its regulatory filing as competition in advertising. Both, Google and Facebook have been ruling the online advertising business for long. Now the mentioning of Amazon by Facebook highlights its importance in ad marketing. Amazon has never mentioned clear figures regarding its revenue generated through ads. According to its indirect means, it is estimated that around $3.4 billion had been raised through ad sale, which is an increase of 95% over the years in the fourth quarter. It is assumed that Amazon’s ad marketing business, which was 2.1% the previous year, will reach a total share of 2.8% in 2019. Whereas, Google is expected to continue the lead with around 31.4% of the total share globally in digital advertising, followed by Facebook which is expected to be 20.5% this year. Facebook’s clash in online marketing with Amazon is just the beginning of its other rivalries. Facebook also has launched a video streaming feature “Watch” which will be competing with other giant video platforms like YouTube, Amazon Prime, and Netflix. CEO of Facebook, Mark Zuckerberg has hinted at making Instagram and WhatsApp more e-commerce friendly. If the idea further proceeded, in no time Amazon will also consider it as a threat.